Volkswagen is coming up with a huge upgrade for all their vans and soon all of them will be equipped with the autonomous emergency braking system. The AEB is an useful and important addition to vans as it doesn’t rely on the person driving the vehicle to apply the brakes. As the name suggests, it works autonomously based on the situation. 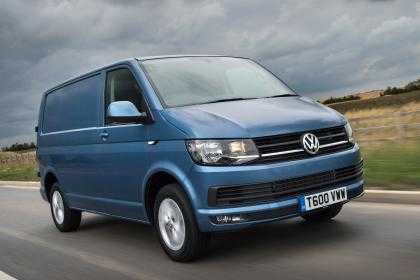 The Volkswagen head confirmed that it will be updated in all their vans and the implementation starts from today onwards. According to the research development wing, the AEB is the most significant invention in the world of automobiles ever since the time of seat belts. 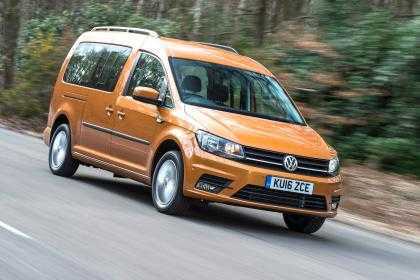 It is so essential and will be implemented in Transporter, Caddy and the Crafter vans in the VW lineup. At the moment, the AEB is divided into two different parts, one of them is the front assist which automatically detects the behaviour of the vehicle in front of the van. Equipped with sensors, the front assist can identify when the vehicle in front of it comes to a halt. The technology will also provide both visual and audible warnings to the driver so that they could apply the brake in time. It is also equipped with braking assistance and has city emergency braking technology that prevents collisions by applying the brakes automatically during low speed driving. The advantages of AEB goes way beyond avoiding accidents on the road as detailed by Volkswagen. The company clarified that it will reduce third party insurance claim by at least 45 percent that will obviously reduce the overall premium you pay for your car. Insurance companies will be glad to provide coverage for VW vehicles equipped with the particular feature as it avoids frequent claims. Another statistic claims it will help save 100 lives and over 120,000 people throughout the decade. The company’s engineers and the production unit will be working to ensure it is implemented in all vans in due time. Soon, the entire automobile industry is expected to follow suit by making AEB a basic feature to be found in all their cars and not just the top of the line variants. The safety feature will also be introduced in lightweight commercial vehicles thus reducing the chances of a collision to the lowest possible probability and ensure drivers can enjoy their experience without having to worry too much crashing into the car in the front. The primary idea is to avoid low speed collisions which occur more often than high speed accidents.